The fifth drink in the list I’m working through, is one that I’ve actually never ordered, and I can’t tell you if I’ve even ever had one. I’ve combined two very similar ones here, based on the main ingredient, Coke. 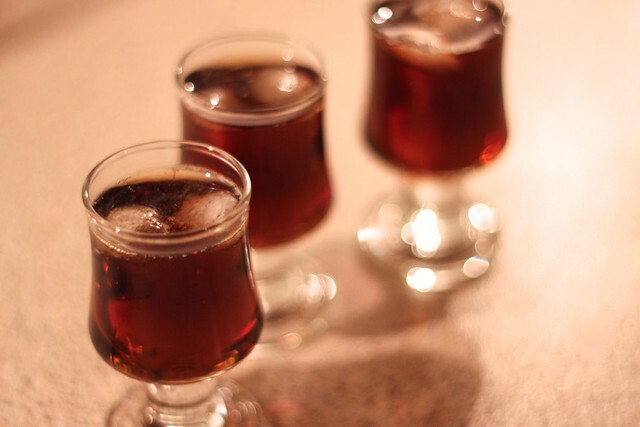 I’m talking about the highball classics Rum and Coke (aka Cuba Libre) and Bourbon and Coke (aka Jack and Coke). I’ve briefly discussed the history of rum previously, which was also for a rum plus mixer drink, and I’ve also covered whiskey in the Old Fashioned post, so there is no need to rehash them here. The distinguishing feature of this popular concoction is good ole Coca-Cola. Before I head into this, lest you think me a snob of the highest degree, I should mention that the reason I’ve never ordered one of these fine libations is that I generally don’t drink soda. It just isn’t a beverage that I seek out. Maybe it’s because I wasn’t allowed to have them very often as a kid, or maybe I just don’t like sweet, bubbly beverages. I dunno, but there it is. The ginger beer for the Dark and Stormy is a more interesting drink to me than most modern sodas, and even that isn’t something that I would normally drink. 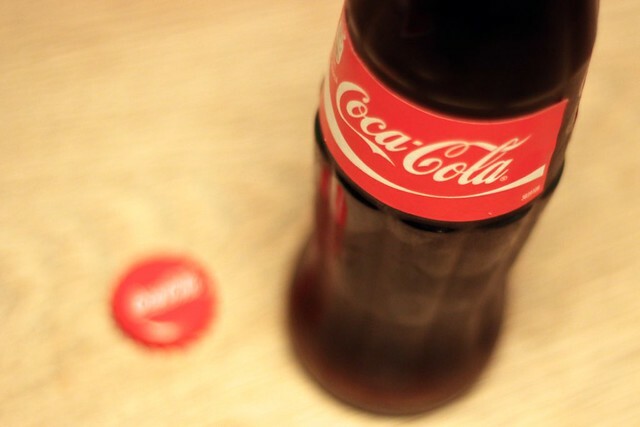 Pharmacist John Pemberton invented Coca-Cola in 1886, when prohibition in Georgia meant he had to remove the alcohol from his French Wine Coca nerve tonic. (Yep, individual states had already been introducing prohibition decades before it became Federal on 1920.) I’m going to presume that people were using Coco-Cola to hide their moonshine when prohibition swept the country in 1920. The Cuba Libre was certainly in rotation well before then, starting somewhere around the turn of the century. The name Coca-Cola is simply naming the active ingredients in the original formula: Coca leaf and kola nuts. The coca leaf did provide cocaine to the drink, but the cocaine was removed very early in the 1900s. They still use coca, but only after the cocaine has been manufactured from the leaves. Kola nuts provide the caffeine, and is the basis of many other cola drinks as well. Coca-Cola started cola consumption in the US, but of course, others followed along and created their own variations of it. While the original is based on kola nuts, the variety of cola sodas out there today have all kinds of flavoring and caffeinating ingredients to approximate Coca-Cola, or add their own spin. Fill a highball glass with ice, add spirit and Coke. Give it a stir and enjoy. I made my drinks as proportional miniature “tasters,” using a third of an ounce of spirit and one ounce of Coke each, so I didn’t get completely ripped. With the bourbons, the winner for me was the Elijah Craig, though the Blanton’s was also nice. The Booker’s is an overproof and it was just too strident. It was a distractingly strong flavor. On the rum side, just like with bourbons, the overproof Lemonhart was just too strong and the flavor clashed too much with the Coke. I found it to be the worst of all the combinations I tried. Of the rest, the Appleton was the most distinct, and I could really taste that I had a rum in there. I got some nice caramel from it, but in the end it was still too unbalanced against the Coke for me. Both the Ron Zacapa and Plantation blended very nicely with the Coke. The best of the lot though was the Koko Kanu. It is a touch sweeter than the others, but the coconut really plays well with the vanilla flavoring in the Coke. It was really enjoyable. One thing to note, is that Koko Kanu, while a coconut rum, is quite different from Malibu. It is really a very nice flavored rum. It is higher in alcohol and has actual taste when compared with Malibu, so I’m not sure I’d like a Malibu and Coke. Between the bourbon and the rum, it really is more a question of what I’m in the mood for. I don’t think there is a clear choice there in terms of taste. I’m sure people use all kinds of liquor outside these two classics, but it does make sense that the two most noted to be “sweet” liquors go very well with a soda.